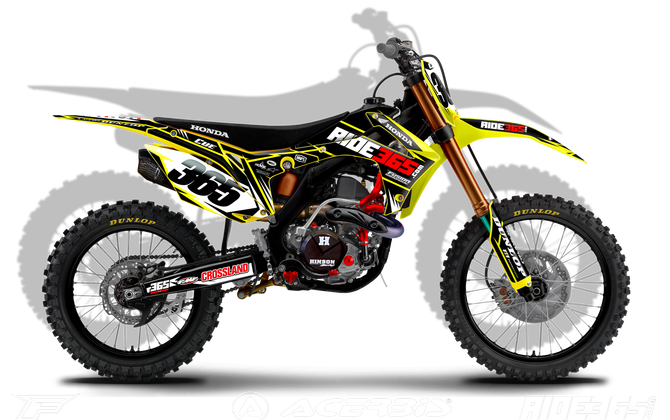 This is a special Flo Yellow kit for Brett Cue. Acrebis and Fusion collabrated together and came up with this kit for Brett to help market the Fluorescent Yellow Plastics. Feel free to contact us if your interested in purchasing that plastic kit. 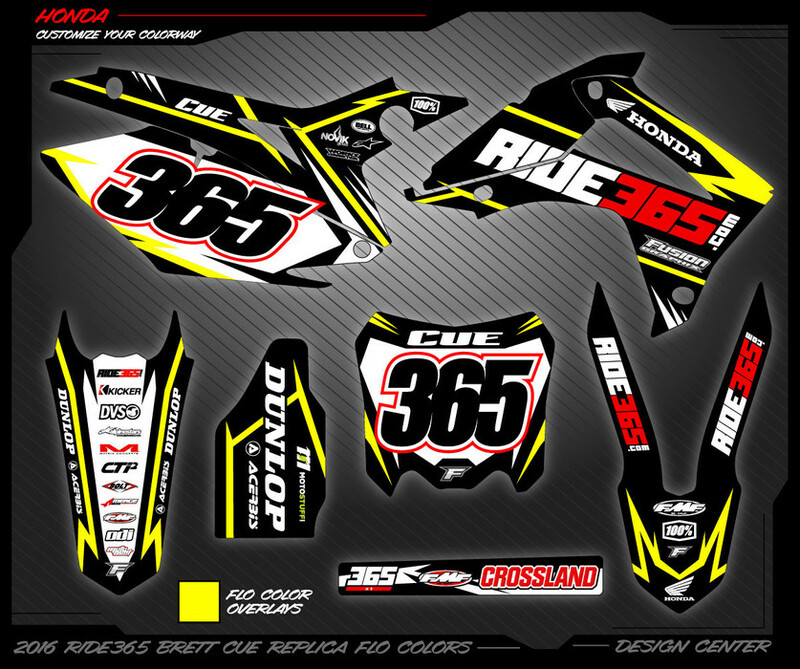 This complete Replica Series Graphic kit includes full kit replica with matching sponsors and colors. Choose your own name, number and background colors to make it your own kit.